Thinking of Selling Your Home without a Realtor? There is a lot more to selling your home than putting a "For Sale" sign in your front yard. Sellers beware! For example, if you are thinking of selling your own property, how will you respond to the following questions that potential buyers will ask, or that you will need to ask yourself? "How did you arrive at the fair market value for your property?" "What about financing? If I make an offer for your home, can you help with financing?" How do I assess a buyer's ability to purchase my home? "If a buyer makes an offer, who will draw up the paperwork?" Who should pay for drawing up the contract? And in whose interest is it to draw up the contract? Do I understand the myriad details and complexities inherent in a real estate contract, and its terms and conditions? "How does your home compare to others like it in your community, or to the Maui real estate market altogether?" "Why aren't you using a REALTOR®? Is there something wrong with the property? "Since you are selling without a Realtor, we can take the fee that the Realtor would be entitled to right off the top, right?" "Are my answers to all the above questions correct?" Before you put a "For Sale" sign in your front yard, make sure you have answered these and many other important questions to safeguard the sale of your house and your investment. Selling your home is one of the most important financial transactions you will make in your life. Why take risks when you don't need to? The process of selling your home is a lot more complicated than selling, say, a car. Every home is different, and every home buyer wants to offer you as little as possible. How do you determine the real market value? The majority of homes are sold using a REALTOR®. 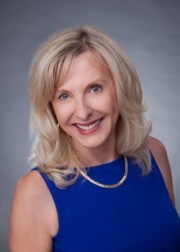 As a leading real estate professional and Maui Realtor with more than 40 years experience helping sellers such as yourself, it is my job to help you negotiate with all those buyers who want your property for less than it is worth. Let Fred Haywood help you prepare your home for sale, and market it both locally and nationally. Let my team guide you through the complex paperwork and the many potential pitfalls of escrow and closing. While a "For Sale By Owner" sign might sound like a good idea when it comes to saving realtor fees, to buyers it usually means, "Try to 'steal' this one". Get the best value out of your property by letting me help you. If you must sell your own home, at least let me give you a sense of its true market value. Tell me a bit about your home, and I'll do a quick, thorough Comparative Market Analysis and let you know what I feel it is worth. I'll also give you my best ideas on how to effectively market your property. Get a free listing presentation. 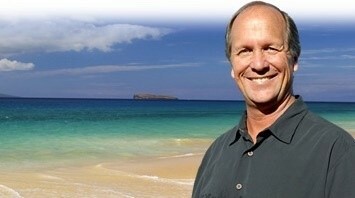 You can rest easy knowing that you have a recognized Maui real estate expert looking out for your best interests. This is free, without obligation.I may even have a buyer waiting in the wings! Don't price your home by yourself! It's my job to know Maui's North Shore, South, West, East, and Central communities, to know its island-wide real estate market inside out.